Why do some cough & cold products make me sleepy? It has to do with the size of the molecule. If it is a very very tiny molecule, it can slip through the blood-brain barrier, and therefore make your brain feel sleepy. Hence the warning "Do not drive or operate heavy machinery." If the molecule is larger, it will stay in the blood stream and will be too big to fit through the blood -brain barrier. So, the brain won't play host to it or get tired. 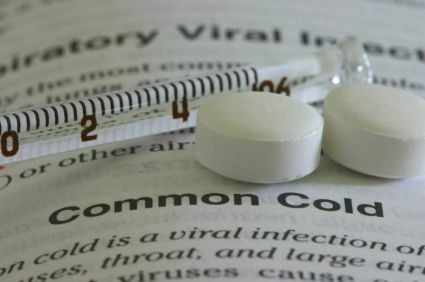 Many cough and cold preparations combine both antihistamines and decongestants. Some antihistamine molecules are small enough to get through the blood-brain barrier, and can make you sleepy. This is often counter-acted by the presence of a decongestant, which can keep you awake. That's why some cough & cold med's can keep you (or your child) awake, or help put you to sleep. 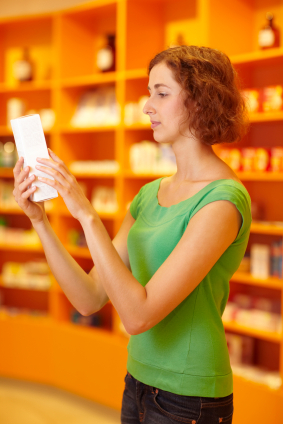 What's the difference between antihistamines & decongestants? Don't they do the same thing? Let's start with antihistamines. Antihistamines block ("anti") histamines. Histamines are substances that are released into you bloodstream when your body detects something that it really doesn't like (pollen, dust, dander, certain foods, insect stings...), and that it doesn't want invading its system. These histamines work like crazy to get the irritant out by sneezing, coughing, making your nose or eyes run, breaking into hives, itching, swelling up - whatever it can do to muster the troops and try to bust that allergen out of there. This could be a useful defence system, but it can, more often than not, be really annoying. So, you take an antihistamine. There are lots of different kinds, but they all basically go to work by blocking the released histamines in your body. In other words, they work on controlling your body's natural defence system, telling it to calm down and for example, stop releasing histamines that make your nose run when it detects alder pollen in the early spring air or make you itch and shiver when get a wasp sting. Decongestants, on the other hand, could care less about whatever outside force is invading your personal space. It has no effect whatsoever on your histamine release. A decongestant is simply interested in tightening up your blood vessels. This opposes the action that causes congestion and a runny nose. Unfortunately this effect is not isolated in your sinuses. It also affects your cardiovascular system (remember, it tightens your blood vessels), so a decongestant can increase your blood pressure. That's the reason your doctor may tell you not to take decongestants if you have blood pressure issues. You don't want to be messing around with a decongestant tightening up your blood vessels. 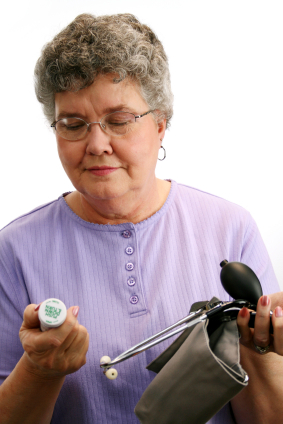 Why have I been told not to take ibuprofen if I have high blood pressure? Ibuprofen (for example: Advil or Motrin), is a great anti-inflammatory, and therefore pain killer. But, especially in regular or large doses, it can be really hard on your kidneys. Your blood flows through your kidneys and liver to get nicely cleaned out. You don't want those organs to be bogged down or harmed with too much ibuprofen. So, if you've got a problem already with blood pressure, then you don't want to risk making it worse by adding ibuprofen to the mix. Ask your pharmacist or physician for a better alternative. There are lots of them available.